Is it a coincidence that as the number of overprocessed foods in our supermarkets has grown, the diversity of microbes living in our gut has shrunk? 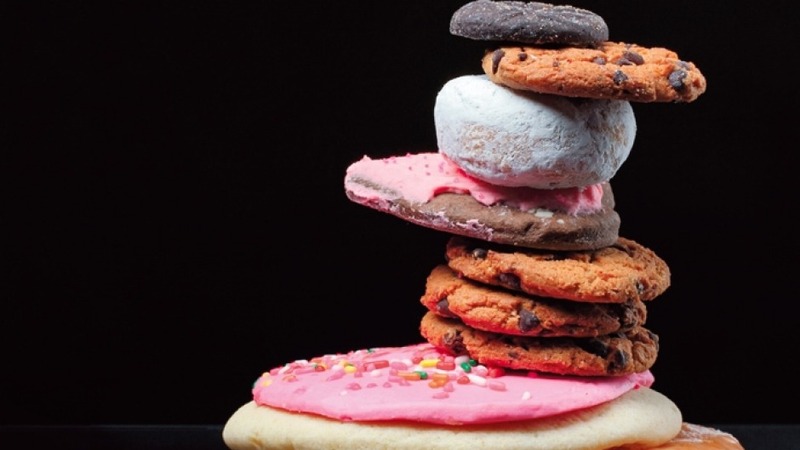 Many researchers say our modern diet has a lot to answer for when it comes to the rise in obesity, diabetes, allergy and asthma over the past few decades. There's good evidence that too much overprocessed food, too little fruit and veg – and too many antibiotics – can alter the makeup of these trillions of gut microbes and undermine our health. This microbiome, as it's called, can have so much influence on other parts of our body that it's becoming recognised as an organ in its own right – and changes to its complex ecosystem are linked to a mixed bag of problems including inflammatory bowel disease, heart disease, Alzheimer's, Parkinson's disease, autism, depression and anxiety. Although it's still not clear what an ideal balance of microbes in the gut is and how it might help prevent disease – we do know that feeding prebiotic fibre to the friendly bacteria that live inside us is a win-win for us and them. Prebiotic? This means special fibres from foods such as legumes (peas, beans chickpeas, lentils), onion, corn, barley, rye, some nuts and fruit including watermelon, pomegranate, dried dates and figs. Not all fibre in plant food is prebiotic – the difference with prebiotic fibres is that we can't digest them. This means they reach our large bowel undigested providing food for bacteria, which love us back by fermenting this fibre and turning it into substances that do us good. They're called short-chain fatty acids and one of them – butyrate – may help defend us against bowel cancer. It helps keep the lining of the gut wall healthy and may prevent early cancerous changes, says Associate Professor Dr Jane Muir, head of translational nutrition science at Monash University. Then there's another short-chain fatty acid called acetate, that could be an ally against asthma. An unhealthy diet is now the leading cause of early death. "There's a lot of interest in acetate because it's important for a healthy immune system," says Muir, explaining that acetate works as an anti-inflammatory that helps prevent the immune system from overreacting and causing problems such as asthma and allergy. A small study from the University of Newcastle last year backs this up – when researchers gave fibre supplements to people with asthma, their symptoms improved. "But to produce acetate we need plenty of fibre – it may be that asthma has become so common because we're not feeding our gut microbes the right stuff," she adds. Yet fibre is in short supply in shopping aisles devoted to biscuits, snack foods and baked goods. These low-nutrient foods can take up space in our diet, edging out healthier foods. 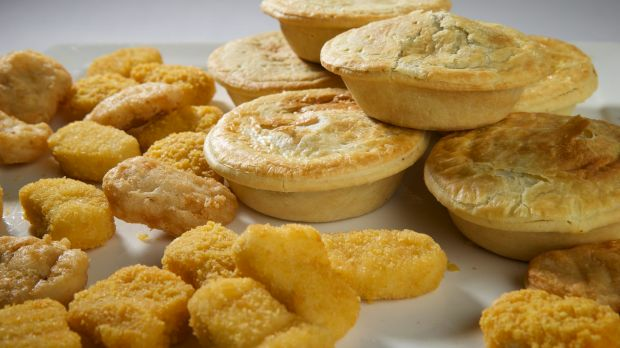 According to the Australian Health Survey, more than a third of our daily kilojoule intake now comes from non-essential "discretionary" foods such as chips, pies, cakes, confectionery, soft drinks and other junk. They're the kind of low-fibre foods that starve the friendly microbes we rely on to produce acetate and other short-chain fatty acids that benefit our health. These are also the foods that are heavily pitched to us. When was the last time you saw a prime-time ad spruiking cannellini beans, unsalted cashews or dark rye bread? But it's whole foods like these that are rich in the fibre that our gut microbes thrive on – and benefit us in return. 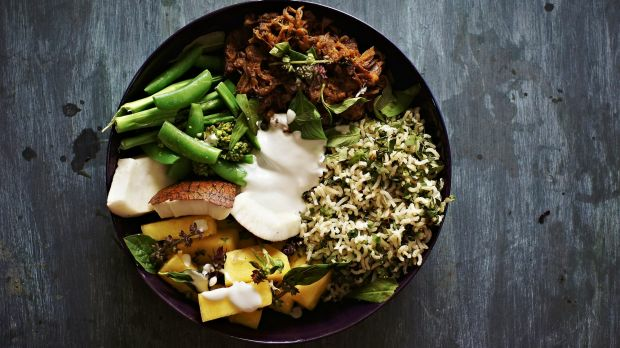 "It makes me angry that big food has been able to damage people's health by having unfettered access to promoting these foods," says Felice Jacka, director of the Food and Mood Centre at Deakin University, which specialises in research into the impact of food on the brain. "In fact, because of the profound changes to our food environment over the last several decades, an unhealthy diet is now the leading cause of early death in developed countries." 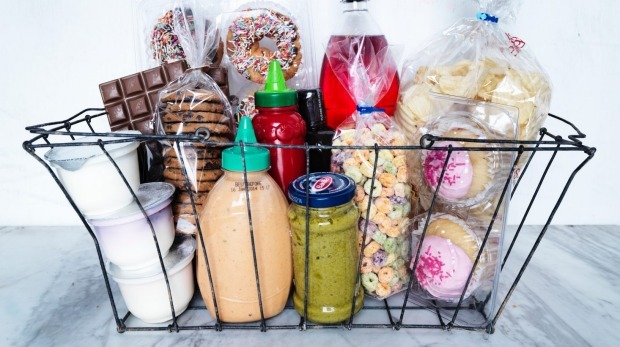 The main worry with overprocessed food has always been that it delivers too much saturated fat, sugar, salt and too many kilojoules – and ups the risk of heart disease and being overweight as a result. But now the picture is looking more complex. It's not just lack of fibre in highly processed foods that may be disrupting gut microbes, Professor Jacka points out – too much saturated fat, along with some emulsifiers and artificial sweeteners, may be other culprits. "Some fats like mono-unsaturated fat in foods such as olive oil and omega-3 fat in fish seem to promote a healthier mix of gut microbes, but research from animal studies suggests that too much saturated fat can increase pro-inflammatory bacteria in the gut," she says. "Israeli research in both mice and humans has also found that artificial sweeteners caused changes to gut microbes that increased the risk of high blood sugar." Meanwhile, some emulsifiers – additives that bind ingredients together that don't normally mix (such as oil and vinegar) and used in foods like salad dressings and ice-cream – are also under a cloud. Research in mice suggests they can shift the balance of gut microbes, causing inflammation and possibly contributing to obesity, as well as ulcerative colitis and Crohn's disease – two inflammatory bowel diseases that have become increasingly common in Western countries since the 1950s. There's also evidence that too many fatty and highly processed foods with ingredients such as emulsifiers may weaken the lining of the gut, allowing small particles like bacteria to escape into the bloodstream, Jacka adds. It's a problem called "leaky gut" and is suspected of causing the immune system to overreact, contributing to allergy and other health problems. But it may not just be the ingredients in highly processed food that affects gut microbes – how the food is cooked may matter too. One new area of nutrition research is studying the effects of Advanced Glycation End Products – or AGEs. These are compounds produced when some foods, including sugary or high-fat processed foods, are cooked at high temperatures, creating those crunchy textures that we love. Diets high in AGEs are linked to problems such as Alzheimer's disease, as well as kidney disease in people with diabetes. But AGEs may also mess with gut microbes according to some research including a Spanish study that involved feeding a group of teenage boys two different diets. One was rich in browned, fried and toasted foods; the other was a diet that used the same foods but cooked in a gentler way – instead of fried chicken and chips, for instance, the chicken was poached and the potatoes boiled. When the boys ate the "browned" diet, their numbers of friendly gut bacteria were reduced. Although we still need more research to understand how these different elements in our food supply might affect our gut, they're reminders that we shouldn't stray too far from a diet based on whole, minimally processed foods. "I think we all know what we should be eating but we're now discovering new reasons why we should eat a healthy diet," says Jane Muir. "This new research into the impact of what we eat on gut health has captured people's attention and they're taking notice – maybe this is a way that we can convince more people to eat better." "We know from research that having a very diverse population of microbes is linked to good health while low diversity is linked to poorer health," says Dr Francine Marques from Melbourne's Baker Institute, which specialises in research into heart disease and diabetes. "We also know that food is very powerful when it comes to influencing the diversity of these microbes and that you can improve this diversity in two to three weeks with a healthier diet. But you have to keep it up to make lasting changes – if you stop, you won't maintain the diversity." Her own research has shed new light on why diets rich in vegetables and fruit help to prevent heart disease – she found that feeding mice a high-fibre diet shifted the population of gut microbes in favour of more bacteria that produce short chain fatty acids, improving their blood pressure and their heart function. The next step is to find out whether supplementation with short-chain fatty acids can lower blood pressure in humans. 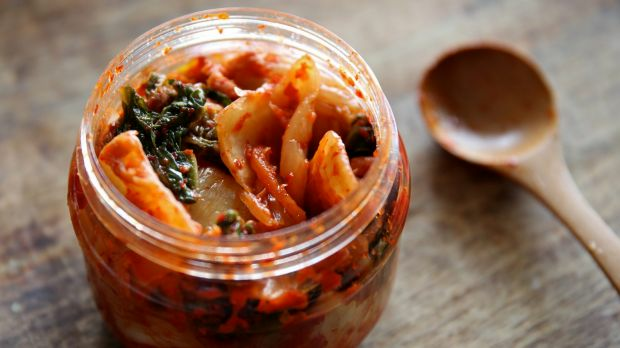 But although we need gut microbes to make these short-chain fatty acids for us we can also get them in other ways – from some fermented foods and drinks including apple cider vinegar, kefir, kimchi and kombucha, which all contain acetate. They're also foods that have long been credited with health benefits in traditional medicine but without much research to back up the claims. Now Paul Gill, an immunologist and PhD student with Monash University's department of gastroenterology is trying to find out more – such as how much acetate these different fermented products contain and if acetate from food has the same positive effect on the immune system as the acetate produced by microbes in the gut. "There's a lot of anecdotal information about the benefits of these foods – but not much science to validate it," he says. "What's increasingly clear is that junk and processed food have a nasty effect on the gut and that this is having an impact on the brain," says Felice Jacka. "When we first started looking at the links between diet and the brain and mental health, we thought that it was mainly because nutrients in food like healthy fats and polyphenols had a direct effect on the brain. But now we know it's more complex: gut bacteria influence many aspects of our physiology that are relevant to brain health – and food is the most important factor that affects gut health." ■ Take inspiration from traditional cuisines that haven't turned their back on fibre – include more dishes based on legumes such as falafel or dhal and hearty Italian-style vegetable soups like ribollita or minestrone. ■ Swap packaged snacks for unsalted nuts – all nuts are a good but cashews and pistachios are especially good because they're high in prebiotic fibre which friendly microbes thrive on, says Jane Muir. 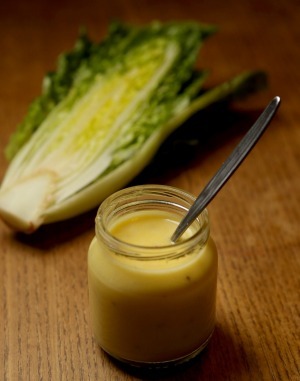 ■ Ditch commercial salad dressings and mix your own vinaigrette with extra virgin olive oil and apple cider vinegar. All vinegar contains acetate – it gives vinegar its sour taste – but Paul Gill's research so far has found that apple cider vinegar has the highest levels, although red wine and white wine vinegar were also quite high. 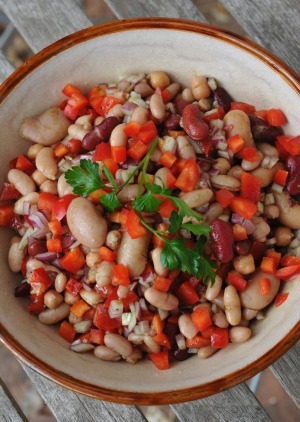 ■ Give a fibre boost to salads by adding lentils or cannellini beans – canned is fine. ■ Mixing your own muesli from ingredients such as traditional oats, nuts, seeds, dried figs and dates is so easy and gives you back control of what's in your breakfast bowl. ■ Make higher-fibre risotto with barley (orzotto). ■ Include some blue cheese – it produces both acetate and butyrate, says Paul Gill. Before the experiment both groups had colonoscopies, showing that nine of the Americans already had polyps – little growths in the bowel that can turn into cancer. No Africans had polyps. For two weeks the Africans ate a typical American Western diet with plenty of meat and highly processed food, while the Americans ate a traditional African diet with more legumes and other plant foods. At the end of the experiment, tests showed that the Americans' gut health was looking up – there was less inflammation and their gut microbes were producing more of the butyrate thought to help prevent cancer. But for the Africans it was the opposite: more inflammation and less butyrate.